Huntley Hills resident and ceramic artist, Susan Strange became captivated with making tiles while renovating her kitchen in 1996. She purchased her kiln in 1998 and made space in her laundry room for a workbench and a few shelves. Even though this tiny work area challenges her production capacity, Susan’s accent tiles still provide unique borders to a shower stall and her stone mailbox . Other projects include table tops, stair risers and stepping stones. Each tile starts as an original, either carved into or from a texture that imprints in the clay such as the leaves on her kitchen backsplash. Depending on the project, a plaster mold can be cast in order to reproduce several. 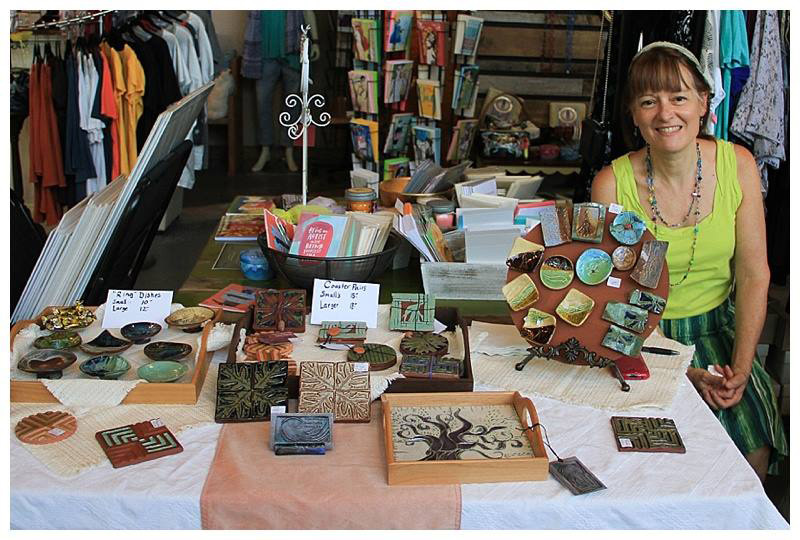 Susan’s finished pieces reflect her love of nature using texture and the earthy colors associated with clay. 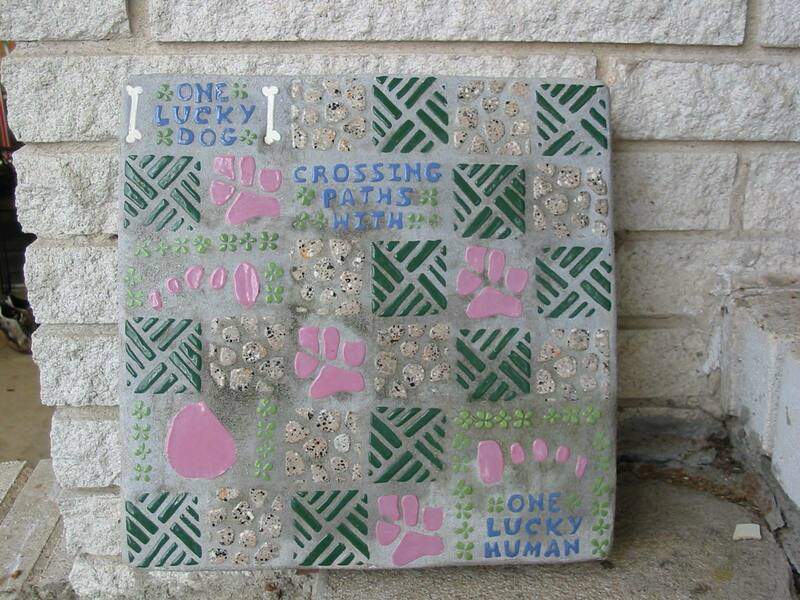 Susan once designed a dog themed stepping stone as a fundraiser for a friend’s dog who needed surgery. Each leaf and tile piece of the kitchen backsplash was individually cut; Susan stopped counting at 200. But she still can’t resist collecting leaves on her walks through the neighborhood. Susan and her husband Greg have lived on Commodore Dr. since 1990. If you would like to contact Susan, her email address is futurefossils@yahoo.com.